It’s undeniably important that large corporations such as Apple recruit as many people as humanly possible to test and put beta software through its paces. It’s even more important when that software is actually the underlying operating system that powers most of its mobile devices, namely iOS. With that said, it’s also extremely important that those beta testers aren’t allowed to penalise third-party app developers who work tirelessly to ensure that their apps and software are compatible come the final public release. You could almost hear the app development community chant in harmonious unison today when Apple finally banned iOS beta testers from leaving App Store reviews. Both beta 4 and public beta 2 in the iOS 9 development process successfully prevents all testers from leaving App Store reviews for third-party apps on the App Store. 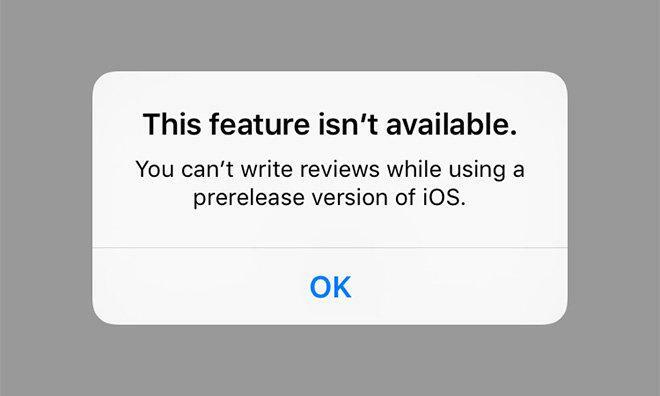 This has been an extremely frustrating problem in the past for developers who have received one star reviews for apps that supposedly aren’t deemed compatible with the pre-release software that the user is running. It’s ridiculous to assume that all developers can get compatibility fixes out with immediate effect, but even more ridiculous when Apple provided no actual solution to the problem either by allowing developers to respond to the reviews or remove them as spam on not applicable. It actually feels like now is the perfect time for Apple to add this prohibitive measure in place. Pre-release versions of iOS have historically only been available to registered developers who pay an annual premium to Apple to be able to access beta versions of firmware like iOS and OS X as well as development builds of tools such as Xcode. Considering that Apple have now opened up the iOS 9 beta for public testing it’s only logical to assume that the problem of receiving negative App Store reviews would get significantly worse, thus causing a lot more distress to app developers who are working hard to offer full iOS 9 compatibility come release date this fall. You can’t write reviews while using a prerelease version of iOS. 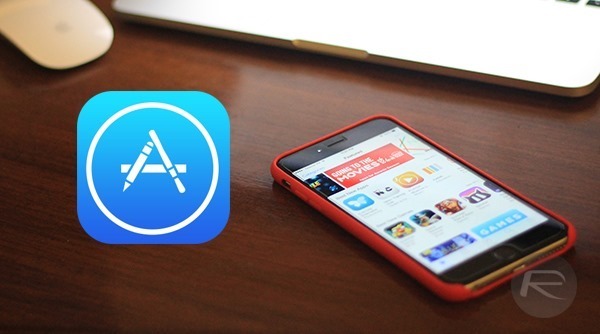 It remains unclear if Apple will proactively set about removing App Store reviews that have already been left via versions of iOS 9 prior to the fourth beta. We’ll have to wait and see on that one. I’m actually in awe of the stupidity of some people!! It’s beta software and those fools should realise that it’s not the devs fault if an app is not yet compatible with it at the moment. I suppose that’s the only problem with a public beta some will expect it to work fully straight off the bat. There is a denial of access for many cheap սոⅼοсkings towards AT&T data base, that causes the greater part of the alternative party սոⅼοсking sites incapable of ՍΝᏞΟᏟΚing AT&T anymore. However, there are still sites that can do the job, just google atttiphoneuunloockiingis among us, go check it out, it’s the site I have been using for 6 of my phones after the database shut down.